The classic Ray-Ban Original Wayfarer is one of those iconic sunglasses that everyone recognises and probably half of us even own a pair. Ray-Ban have always maintained this classic frame in its traditional black as part of their collection, but this is one of those great frames that looks good in any colour. As such, there are numerous options available. But it’s the Rare Print Editions that that are the real gems to seek out. 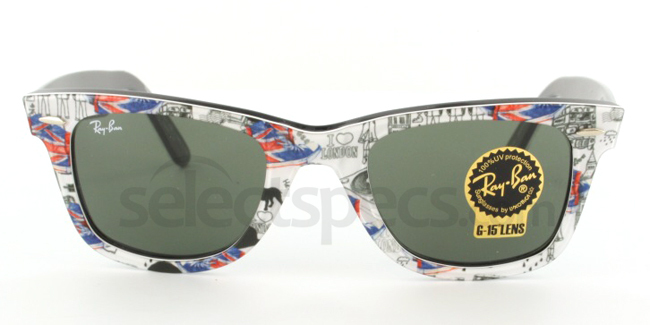 These rare prints are limited in quantity and only available for a short time, making them an essential part of anyone’s sunglasses collection. Just looking out of the office window late on Friday afternoon, it’s clear that everyone is winding down for the weekend, but best of all – it’s a long weekend and the bunting is out along with the Union Jacks… there must be something going on this weekend, but I can’t for the life of me think what it is. <goes off to search the Internet> Oh that’ s right – the Queen’s Diamond Jubilee. 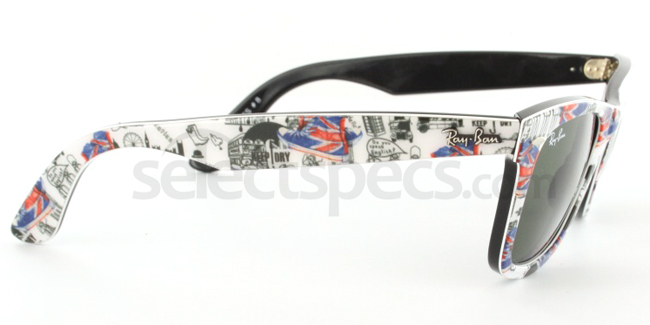 These London Print Wayfarer’s would be perfect to celebrate the Diamond Jubilee – or for that matter, the London Olympics later this summer. The detail on these frames is incredible. There are a couple of different patterns and the frame is also available in other popular colours with the print on the inside which is a nice touch actually. Enjoy these pictures, and if you want to pick up a pair in time for the Olympics you can find them here, but I suggest you hurry – these are limited after all. Really? 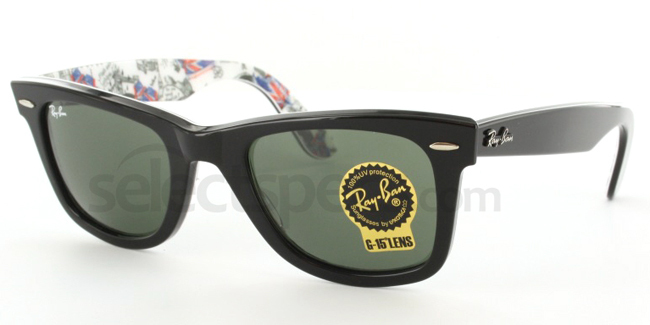 HALF of us own Ray Bans? doubt it. If only that were true. I own a pair, but I wish they were more affordable. They’re amazing quality, and fairly priced, especially compared to Gucci and other crap. 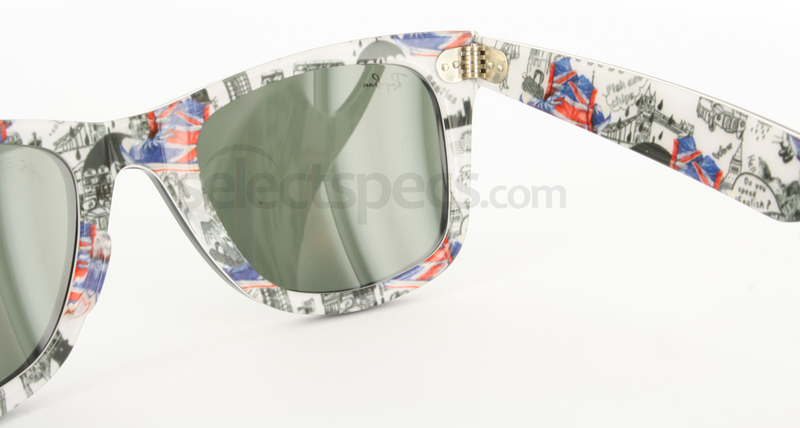 Do you know where I can find white sunglasses with the print on the inside? 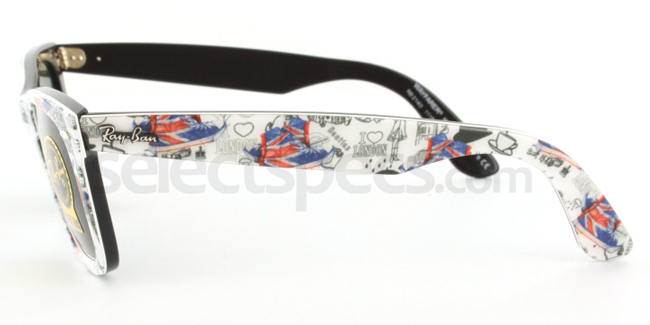 My wife had a pair which she loved but they were lost/ stolen whilst on holiday. I’ve searched the web but dont seem to be able to find them anywhere. Hi Matt, unfortunately this model was limited and so is no longer unavailable.